You don’t wear your woolly hat and heavy coats in the summer do you? No, you have a set of clothes that are perfect for the warmer months and they allow you to enjoy the warmer temperatures and extra sunlight as much as possible. Yet despite the obvious benefits that a summer wardrobe can bring, not everyone applies the same logic to their home. As soon as spring starts to heat up you should be thinking about what you can do to your house and garden to help give it a little makeover of its own. Here are a few things that you may want to consider buying to make the most of the summer months. You have been cooped up in all winter watching the rain fall and the heating bills rise, so now is a great time to get outside and take in lungfuls of the freshly scented air. In order to avoid this being a big disappointment it pays to invest. The first thing that you will need is a barbecue. Whatever time of year it is, people still get hungry but if you get yourself a high quality BBQ you can make meal times an event in themselves, or have a great focal point to a summer party. A new BBQ such as the Weber Compact is not only a great piece of desirable garden furniture, but it is durable enough to ensure that you enjoy great burgers and lamb skewers for many years to come. The Weber Compact in particular could be ideal for those who have a finite amount of space to use and should ensure there is more room for seating and socialising. 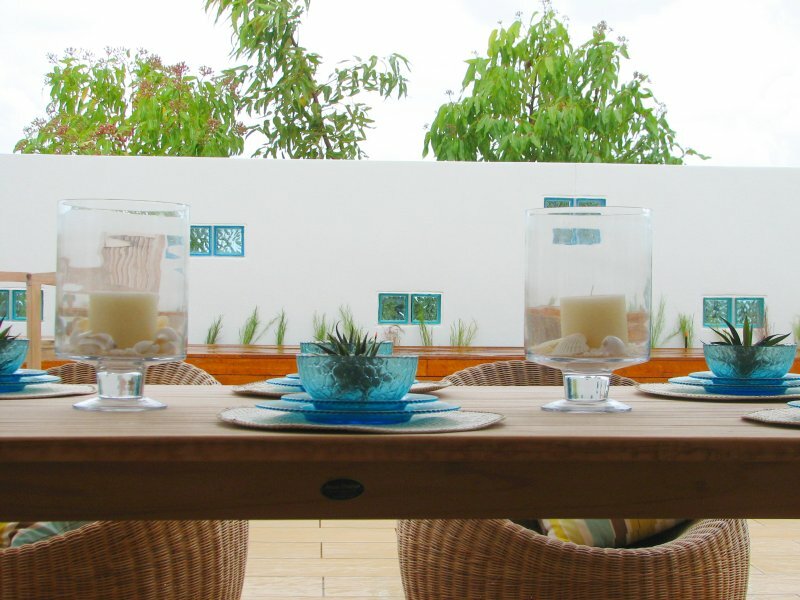 Complement the great atmosphere that a BBQ can bring by adding other outdoor twists to your home. Things like a well-placed hammock, waterproof cushions and garden lighting will keep people comfortable for hours – or you can just enjoy them all to yourself. A well designed gadget can bring great joy – not to mention the potential to make life much easier for yourself. There are plenty on the market at the moment that are more than merely gimmicks too. A must-have for those who don’t have one already is an e-reader. These make it so simple to read? an old favourite or a hot new title. There is no need for a trip to the library and you don’t even need to wait for a delivery. Simple connect them to your Wi-Fi and download your book in seconds. To ensure that you can enjoy them out in the garden, you could get one of the newer ones that are specially designed to work in direct sunlight. After you have enjoyed a great barbecued meal, there is no better way to finish the day off than with some ice cream. You could just wait for the siren and queue up with all the other people on your street, or you could just switch on your homemade ice cream maker. the technology behind these has made great strides in recent years and now is a good time to pick one up. Of course, just like buying clothes for yourself, if you are getting any soft furnishings for your home, it is always worthwhile keeping an eye on the latest trends. Don’t be a slave to them, however – it’s your home after all.